From 1 September 2015 to be certified as an FSS for a food premise in NSW and issued a valid certificate, a person must attain required units of competency from an approved RTO under the FSS program. Duration: 4 – 8 hours including online assessment plus work based task (minimum of 3 shifts). This unit describes the performance outcomes, skills and knowledge required to handle food safely in the retail environment following organisational food safety procedures and relevant legislation and standard procedures. This unit applies to individuals working in roles that involve the handling of food. They operate with some independence under general supervision and guidance from others, and within established organisational policies and procedures and relevant legislative requirements. Students must successfully complete a language, literacy and numeracy (LLN) assessment prior to starting the course. To complete this course you will be required to complete a workplace assessment task to demonstrate the required skills and knowledge in a suitable industry environment. As part of the course, the workplace supervisor of the student must complete an observation report of the student’s practical skills and sign a declaration that indicates the student is their employee and the workplace has the equipment/ resources required for assessment. Click here to view the workplace assessment task. During our course enrolment process you will be asked to provide your USI – or if you don’t already have one, we help you through the process of applying for your USI online. It is essential that the details you provide when applying for your USI match with the details and primary ID that you provide to us when you enrol. This is because these details must match for your statement of attainment to be validated by the Government system, otherwise, this may cause issues with the validity of your qualification. Record keeping requirements and mathematical equations? If you are not confident that you will understand any of the components of this online training, refer to our knowledge base or contact us and we will make arrangements to assist you in your training or offer you face to face training if available in your area. The online course is delivered in 9 short sections with an assessment quiz after each section. In addition, participants will be required to complete a work based task for Assessment. *It is a requirement that the RTO provide your personal details to the NSW Food Authority in order to issue your NSW Food Safety Supervisor certificate. NOTE: ACT food safety supervisors must complete competency-based training in each of the prescribed units relevant to their industry sector. Currently, supermarkets, fast food outlets, cafes, restaurants, hotels, delis must complete the hospitality units. Convenience stores, grocers and petrol stations are able to complete the retail course. We will update these details if the situation changes. Please check the suitability of the course for your sector before ordering. Food handlers must comply with the requirements contained within the Australia New Zealand Food Standards (ANZFS) Code (the Code). The legislative requirement for a business to comply with the national standard for food safety practices, along with training and certification requirements, differ between State and Territory Governments. 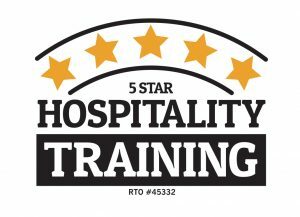 Those developing training to support this unit must consult the relevant state or territory food safety authority to determine any accreditation arrangements for courses, trainers and assessors. In some states and territories businesses are required to designate a food safety supervisor who is required to be certified as competent in this unit through a registered training organisation.